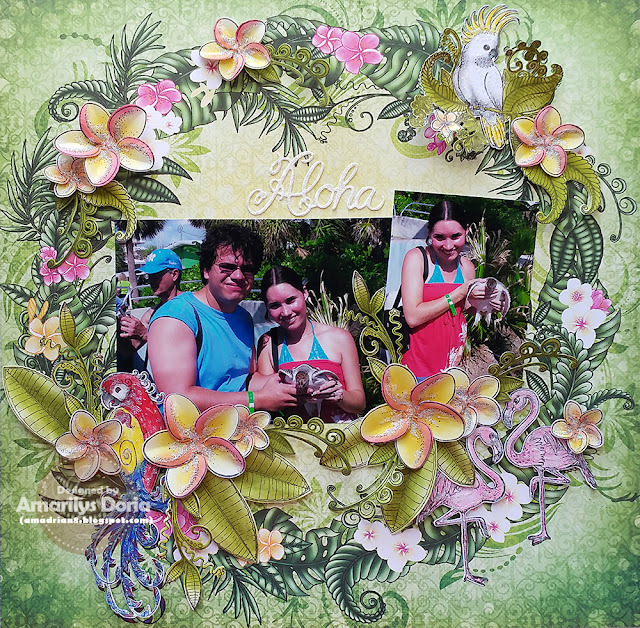 Add a 6" x 4" and a 3" x 4" photo to the center of a pattern paper from the Tropical Paradise Paper Collection. 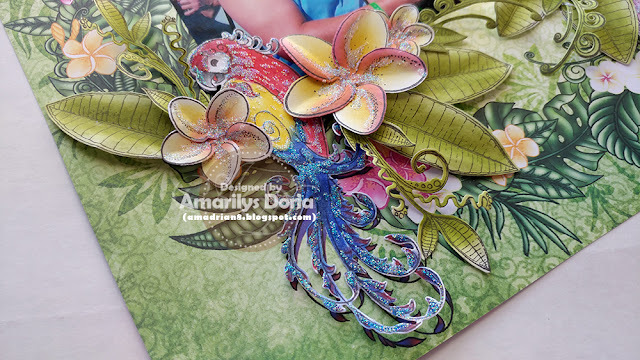 Stamp the tropical birds and color them with Prismacolor Pencils and blend them with Odorless Mineral Spirits. Die cut them using their matching die. Stamp the plumeria flowers and greenery on white cardstock and die cut them Add color to the leaves using the Forest Moss and Peeled Paint distress inks. 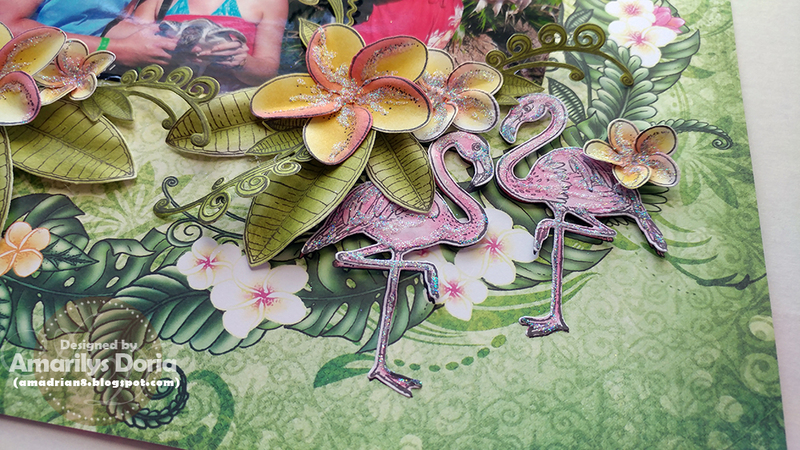 Add color to the flowers using the yellow from the Colorbox Petalpoint chalk inkpad and the Rogue ColorBox Fluid Chalk Ink Pad. 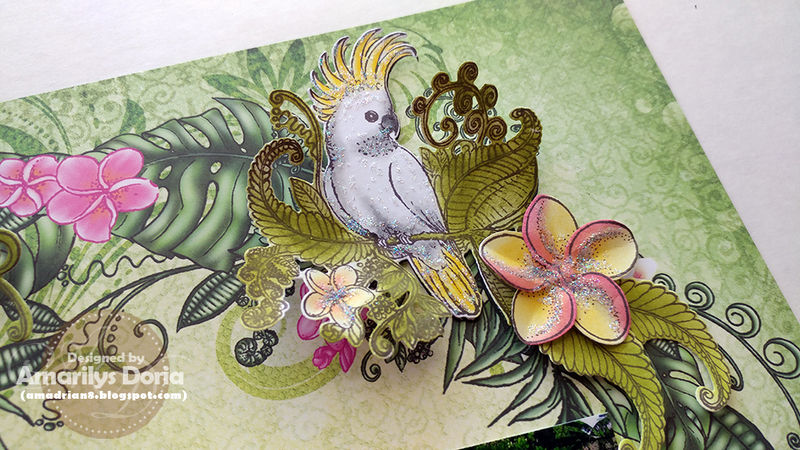 Shape and add glitter to the birds, flowers and a white die cut title from the Tropical Parrots Die. Set aside to dry. Once dry, add the elements to the layout as shown, pop dotting the birds to give them dimension. What a beautiful layout! Enjoy those kiddies!